I always love hearing from Bronwen and this newsletter is no different. 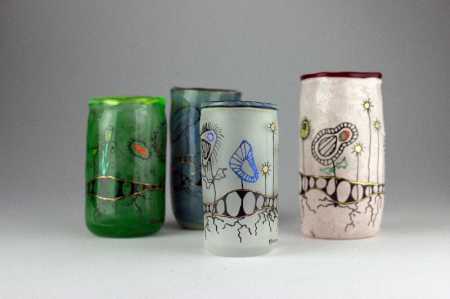 In this issue she shows us some of her new glass goodies. She’s taken her enamel painting techniques over to boro. I love these glasses, especially since I’ve been blowing glasses recently. I think us bead makers are itching for other techniques and glass adventures. Check out what else Bronwen’s up to.